Can't wait for our team to add a Pending item? Want to help our team and other Fresh users? We've added over 76,000 products since launch, our aim is to double that in the next few months! HAPPY HOLIDAYS FROM TEAM TOMATO! Since the launch of our Fresh - Shopping Organizer App for Android on 8th June we've been busy behind the scenes adding our Search'n Scan and Barcode Lookup features to the website and most importantly we've been adding tens of thousands of new products from around the globe to the database. We'd like to thank all those that have contacted us and provided feedback, and for your patience while we build up the database. If you've scanned in many 'not found' items please try scanning them again, hopefully they will have been added to the database and if not don't hesitate to contact us to tell us what items have proved a problem. Tip: You can force the App to synchronize Pending items if you move between the Fridge, Freezer and Cupboard tabs. Sometimes barcodes just won't scan! A torn wrapper on a snack bar, crumpled plastic on a bag of salad, problems due to worn or dirty labels, colour contrast, or print quality, whatever the reason Team Tom sometimes get confused. Now you can scan the barcode with your smartphone! Want to add a product to your shopping list, that you haven't bought before, and you don't have a product with a barcode to scan? Go to our Search'n Scan page! You can search for it on your laptop, PC or tablet, hover the mouse over each search result and it'll show the product's barcode. Open up your Fresh - Shopping Organiser App and navigate to the Shopping List, then scan the barcode! 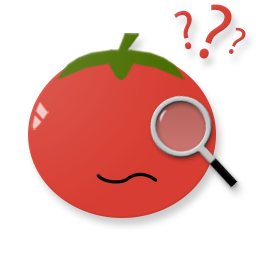 Also now in beta test is our Barcode Lookup page. 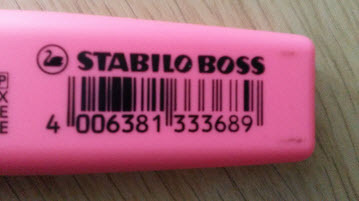 You can enter a barcode and get the product description, for many products there is also an image and a longer description. We are adding hundreds of products from around the world every week, if you can't find the product check back in a few days! 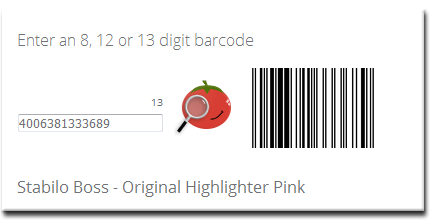 Every time someone searches on a new barcode from this page or scans a new barcode with their Fresh - Shopping Organiser App we make it a priority to add it to our database!